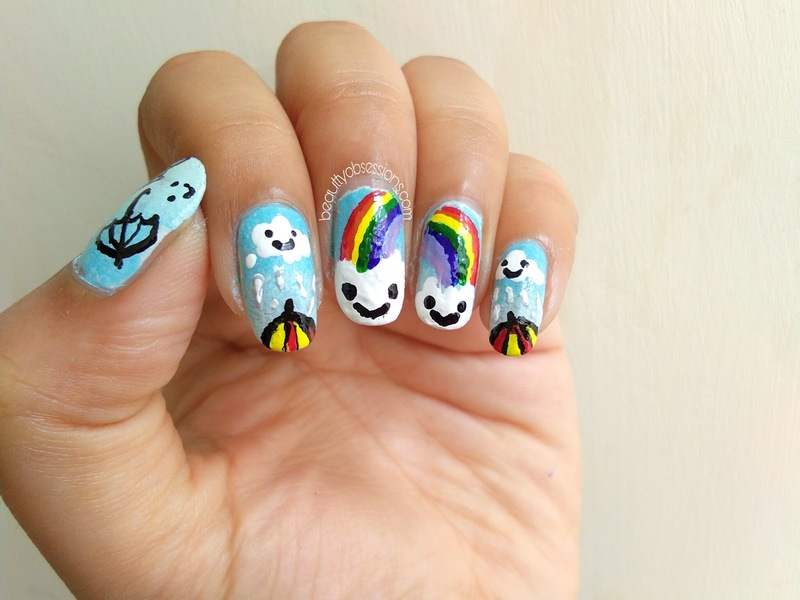 Well I have decided to celebrate my happiness by drawing a monsoon inspired nailart for all of you... How is the idea ? 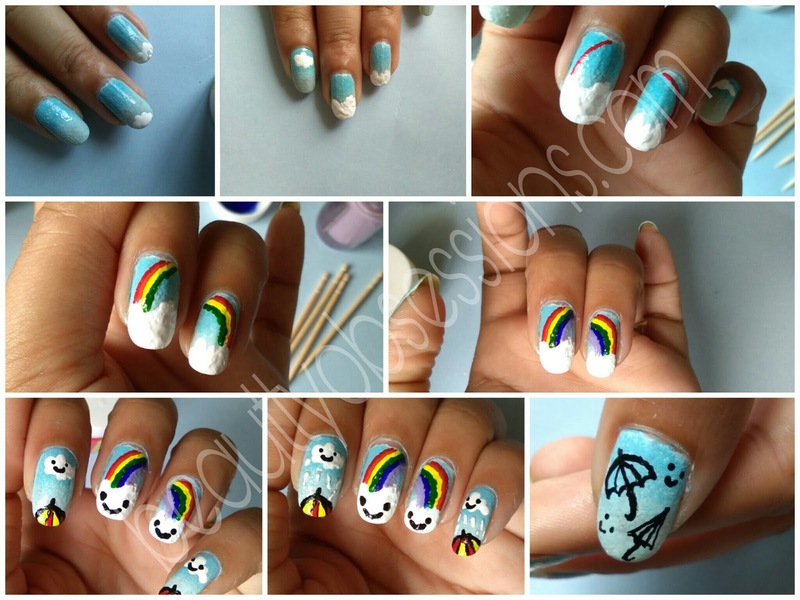 So it is a simple nailart with clouds, rainbow, umbrella, etc.. So let's get into the tutorial..
4- A sponge for creating ombre effect..
1- First paint the nails in white as in white base the ombre effect will look good. 2- Then I have created an ombre effect using two different shades of aqua shade nail polishes which will resemble the sky..
4- I have tried to create a rainbow design by joining the middle and ring finger nails.. For creating rainbow take a toothpick and draw lines accordingly..
5- For the index nail and small nail, I have chosen the rain on the umbrella theme... In the same way created cloud using dotting tool.. 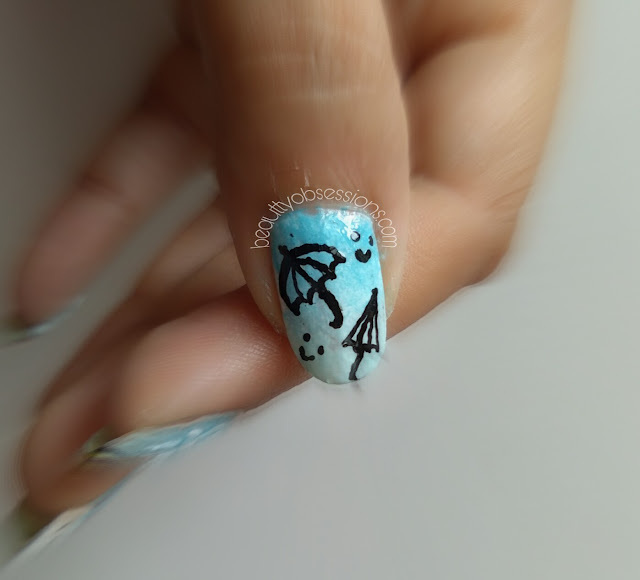 The umbrella is a free hand art..
6- To add a little fun, I have created funny face on the cloud designs..
7 - For the thumb nail, I have drawn two umbrellas (one close and one open) which is again free hand art. 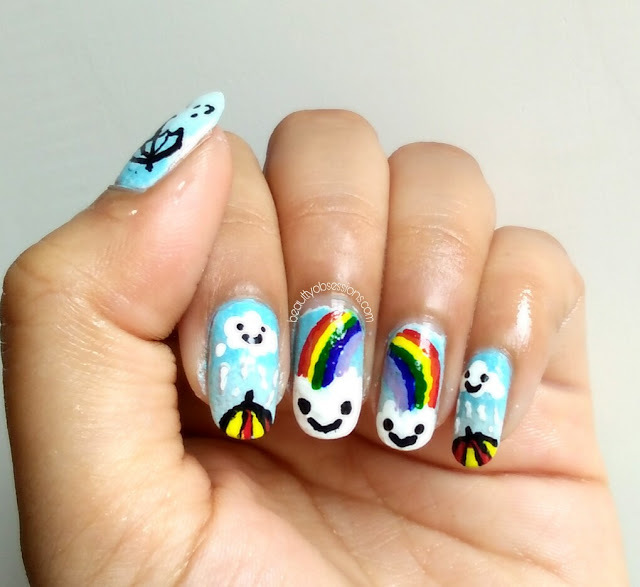 Hope you like this monsoon nailart... See you in the next post..
With monsoon roaring at its speed, here comes wonderful bloggers sharing interesting reads to warm you through the rainy season. We are a bunch of 12 enthusiastic writers who are bringing variety of reads for our lovely readers. Stay tuned and check us out HERE. Also sharing few links for you to begin monsoon enjoyment. Do share your views with us in comment section below. We are all ears!! Thank you ana.. 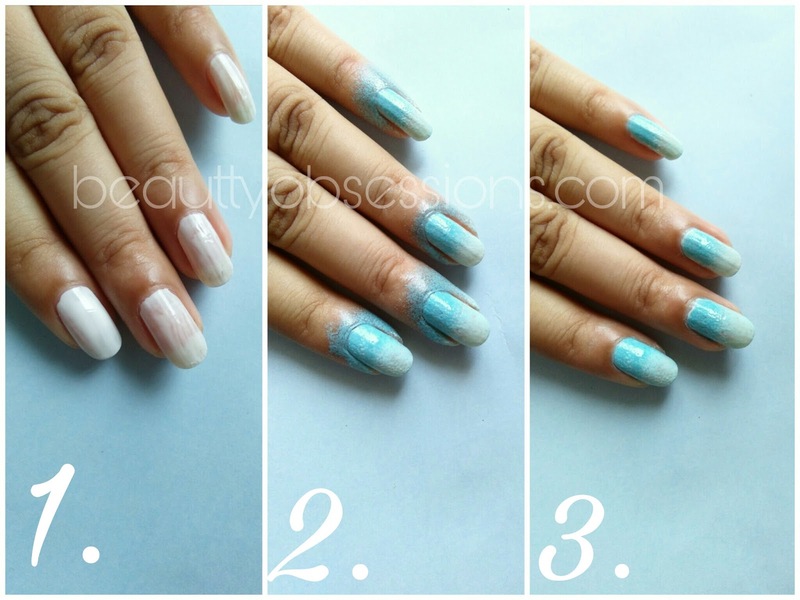 Try this on your nails..
Love love love. You are so talented girl. So cute it looks. Aww... Thank you so much..
How to do that shading part... 8y looks quite difficult to me. 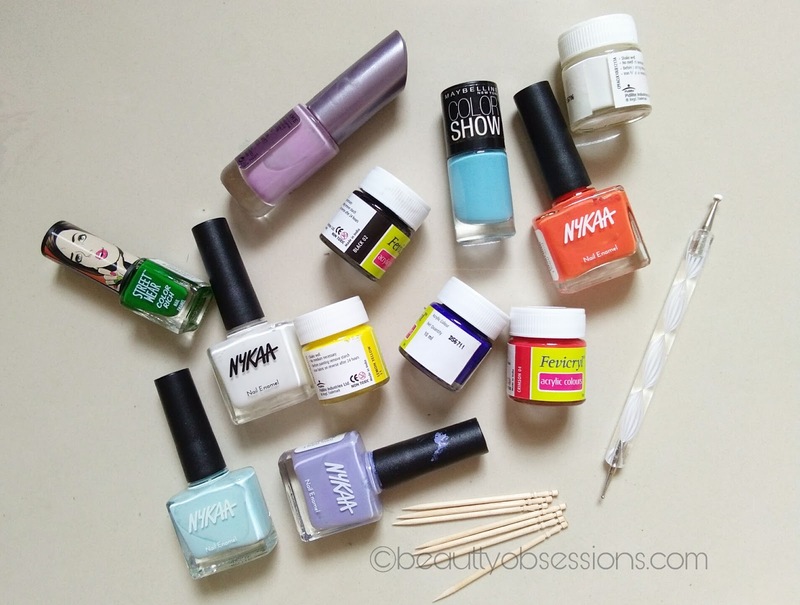 You are amazing and talented... you should really think about having your own nail saloon! You have explained every minute detail of the art ..that's amazing! Oh ..... that's so cool. Awesome monsoon themed nail art. I envy you people who are masters in beauty things. Happy to join with you on #monsoonblogging !!! 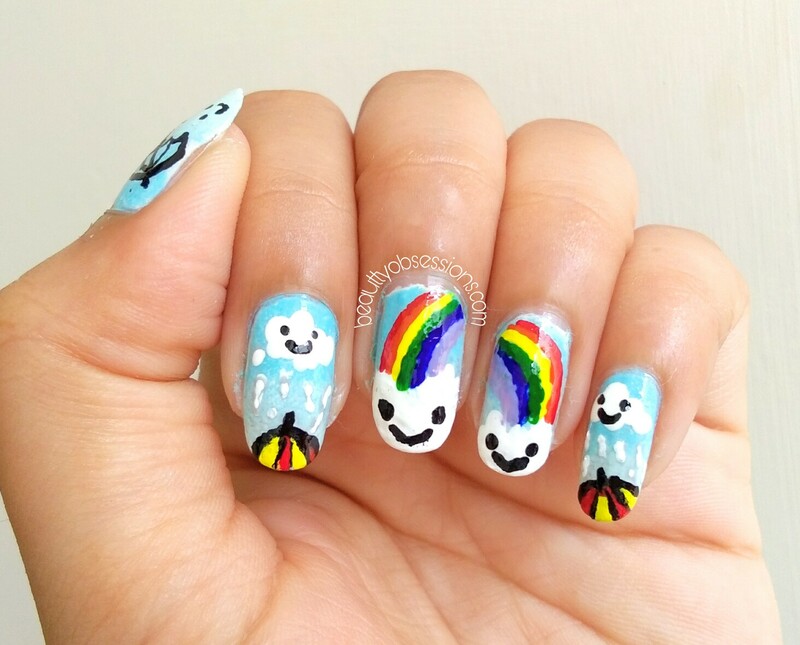 This nail art is so Apt with the theme of #monsoonblogging I just loved it and I must say you are a great artist. this will surely trying doing this and tag you on insta. being part of #monsoonblogging was fun, isnt it? Lovely and quite colourful posts. 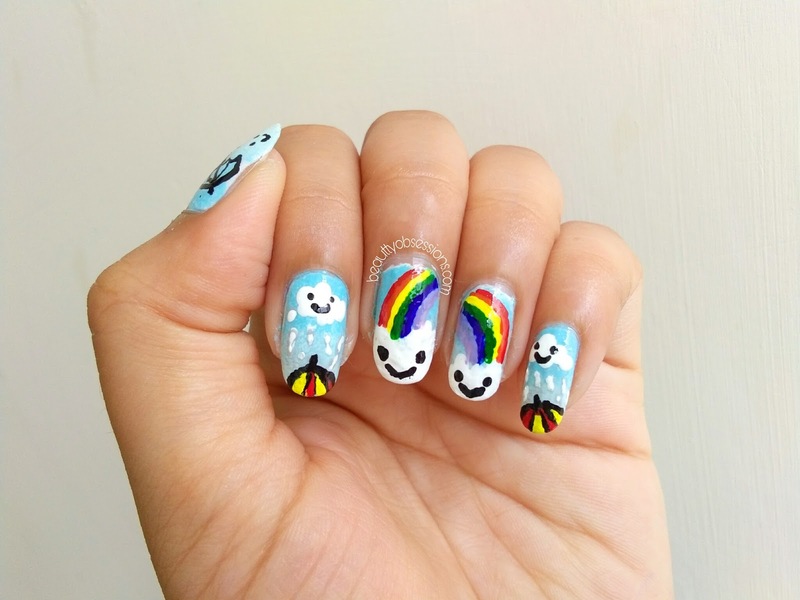 I have never tried nail art as I never knew steps . Your posts is so nice and self explanatory I am for sure going to try this soon. Keep up the good work. I am a fan of your nail art tutorials, I am missing so much my nail art days. I will start again and you are my inspiration.